As the anti-drop carafe had such an enormous success, Eva Solo presents us now a larger version (1.4 L) to quench great thirst! Perfect for serving refreshments during big social meetings or family/friends gatherings. Resistant to thermal shocks, suitable for all kinds of drinks (hot and cold). But above all, to get a drip-free carafe means no more dripping on the tablecloth! The drip-free pouring spout, a brilliant system that has been awarded many prizes, will certainly make your life easier. The practical top automatically opens when you pour the liquid. 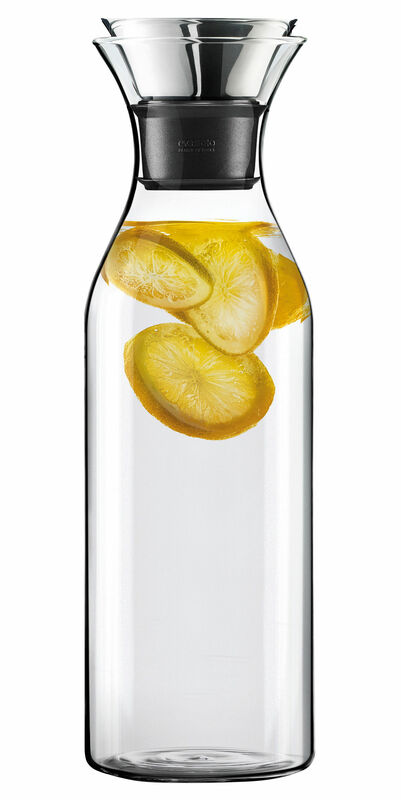 The large neck allows you to throw in ice cubes or lemon slices. This carafe is ideal for decanting and serving wine and thus loved by oenologists. Besides, it is microwave safe. 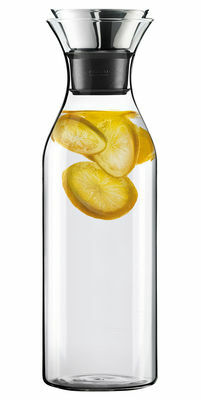 This drip-free carafe is also available in 1 L version.